The day has finally come. When Bitconnect crashed and burned I danced on its ashes. This one will no be quite as sweet as swan song. 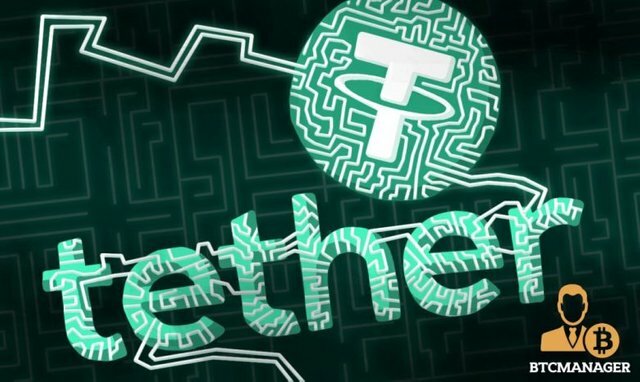 The collapse of Tether will rock the crypto community and past that, shake and erode much of the ground its made in the last years. It will dispel widespread distrust and set back the industry years from continued adoption. The available supply has dropped by 400 million and it's peg has dropped to .96. People are trying to get rid of Tethers like crazy, but someone is going to be stuck with them. This currency is suppose to be tied to the doller, but it is losing that. A stable coin off by that much of a margin is not good. I'm not sure if it was the peg or selling that started first, but they are producing a positive feedback cycle and I'm not sure it can be stopped. Hmm....Bitcoin is trading at a $500 premium on Bitfinex. That's extremely odd and unsettling. In fact during the evening it was trading at over a $1000 premium at one point. Both Binance and Bitfinex at one point suspended Tether trading and withdraws. Bitfinex cold wallet has transferred a third of its Bitcoin out in the past week and they just recently lost banking with the H.S.B.C. Their is a mad rush for the exits right now. This isn't the normal FUD, the conditions are actually developing before everyone's eyes. I'm selling out into USD for the moment and just going to let it sit tight in my bank account. Sometimes forests make way for new growth by smoldering. Let that dumpster fire burn. Congratulations @diezeldiddy! You have received a personal award!